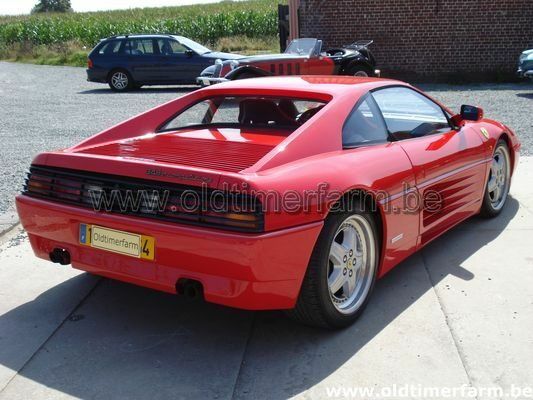 In late 1993, Ferrari began producing their first homologation special since the 288 GTO. 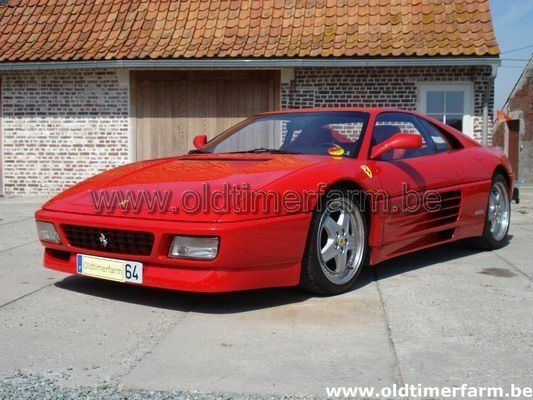 Based on the standard 348 GT, at least 50 had to be built so a more extreme 348 could qualify for the GT3 class of international endurance racing. Designated the GT Competizione and often referred to as GTC, it was Ferrari's last 348 road car and featured the hottest specification of all. With much stiffer suspension, its track-derived set up had an uncompromising nature, all Competizione's using the high output Tipo F119H engines with 320bhp. The doors, sills and bumpers were made from a mixture of super lightweight Kevlar and carbon fibre composite, polished 17-inch split rim Speedline wheels having been unique to this version. Enamelled Scuderia Ferrari wing shields aped the 288 GTO and F40, otherwise just discreet GT Competizione scripting giving the game away. More radical changes were made inside where Kevlar sill panels, lightweight door trim and cloth-trimmed Kevlar racing seats came fitted as standard. All the carpeting was removed from the passenger wells, these cars weighing in considerably lighter than the stock GT. There were also drilled aluminium pedals and a steering wheel inscribed with each cars serial number. Produced into the middle of 1994, only 56 were made, eight of which were right-hand drive.